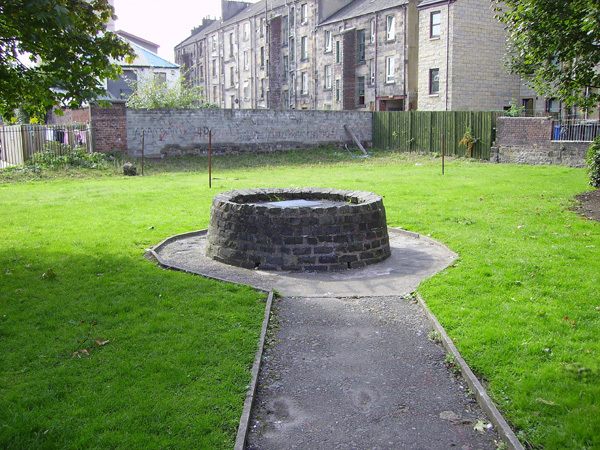 In 1696 Paisley had a famous witch trial concerning Christian Shaw, the daughter of the Laird of Bargarran,which eventually resulted in six people being condemned as witches. When aged 11, Christian diplayed all the signs of being possessed, apparantly bringing up bones, pins and all manner of small items. She blamed a coven of witched, amongst them her servant, and eventually seven people were found guilty of witchcraft. One killed themself in prison and the other six were strangled and burnt on the Gallowgreen. 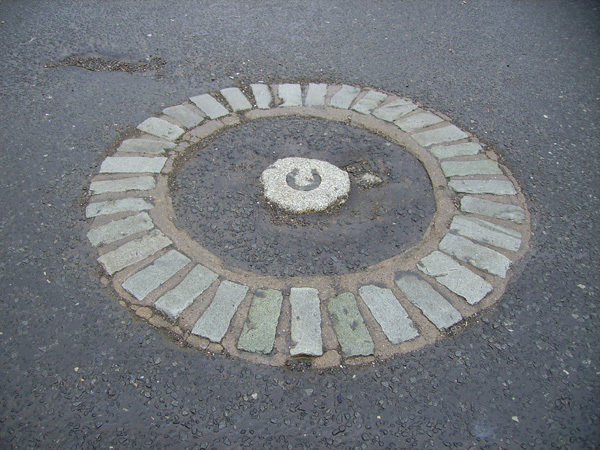 Their remains were buried on a crossing now known as Maxwelton Cross, with a horseshoe placed on top of the buriel site. 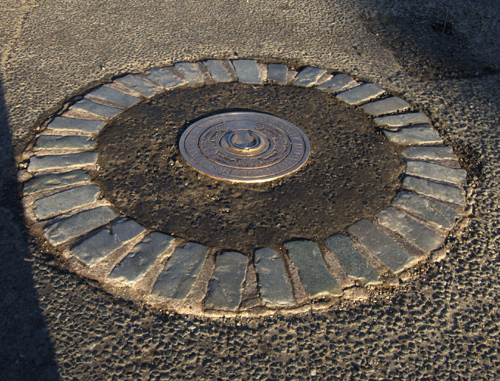 This spot is still visible today although the horseshoe went missing many years ago. However in May 2008 a new horseshoe was laid at the crossing, designed by Sandy Stoddart it will hopefully breathe new life into the town. 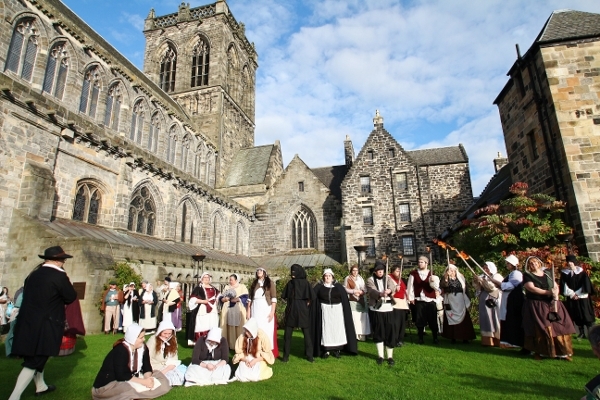 On 9th June 2012, the Paisley Development Trust organized a re-enactment of the Renfrewshire Witch Hunt of 1697. 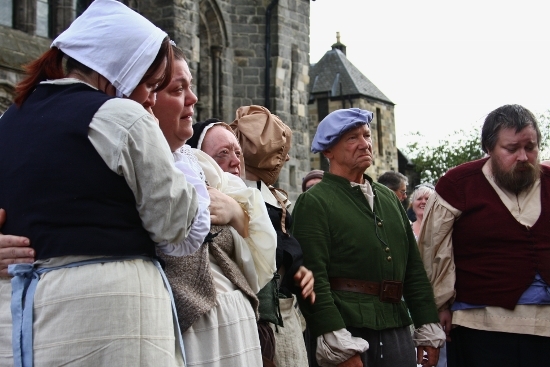 The story of the witch hunt was told in stages throughout the day and culminated in a Procession of the witches through the Town to Abbey Close where despite desperate pleas of innocence they were condemned to death. This re-enactment was so successful that it was decided to make it an annual event under the banner of RWH1697. The second year’s re-enactment of the infamous Renfrewshire witch Hunt took place on Saturday, 5th October 2013. 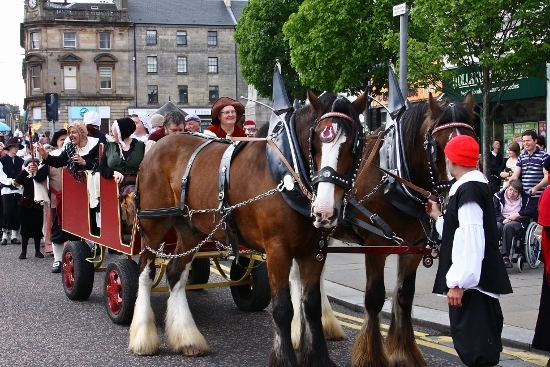 Paisley’s County Square was transported back to 1697 to witness the trial and ultimate execution of the seven accused, before a horse drawn cart took the witches to Abbey Close where they were symbolically burnt. Click here for more photos on Facebook.